We’re in the heart of winter, and that means cars having to be well-equipped to handle the harsh British roads this season. From diminished visibility in the rain, reduced grip in the ice and the darker days now is not the time to get that roadster you’ve been dreaming of, but rather to look ant winter friendly cars – such as an affordable and reliable 4×4 or SUV that can handle the elements. At Cheap Car Leasing, we’re committed to helping find the best value with your lease vehicle that will help you through the winter period. We’ve selected five of the best value cars that are perfectly suited to the cold and icy weather, and best of all, we’ve stuck to a budget of £150 a month. This Suzuki crossover is a very practical family car similar to such models as the Kia Sportage and Skoda Yeti. A new style has been introduced to appeal to SUV buyers including lifted suspension, thicker alloy wheels and new plastic cladding above the wheel arches and side skirts. These additions have certainly helped the SX4 stay competitive and with an efficient 1.0-litre turbocharged engine, this SUV can be an affordable and practical alternative to its competitors. With four-wheel drive, this car would be perfect to drive in the winter months. Ever since being introduced to the UK over five years ago, Dacia has been known as a company that offers drivers cars that are excellent value for money. Matching the Nissan Qashqai size-wise although much cheaper, the Dacia Duster puts other SUV models to shame in terms of price and begs the question of why most SUV’s are so pricey. With a powerful 1.6-litre engine and four-wheel drive, this car will get you where you need to go in whatever weather. This stylish South Korean model is, is relatively small in size, but the Ssangyong Tivoli can definitely hold it’s own in the conversation of low priced 4x4s, rivalling such makes as the Nissan Juke, Peugeot 2008 and Renault Captur. Ssangyong as a company in recent times has been trying to get away from their more basic image to try and appeal to a wider audience who might also want some style to go along with the good value for money proposition. Suzuki is a Japanese manufacturer with a long history of making small and well-packaged cars. This SUV is not much bigger than a city car and is exceptionally cheap to run. It is a comfortable and sturdy drive, giving such models as the Renault Captur and Ford Ecosport a run for their money. The Ignis is styled like a miniature SUV, with higher-riding suspension, a raised roof and optional four-wheel drive, with the result that the driver has plenty of room and allows the car to be very practical for its size. The Skoda Yeti is a very popular choice when choosing a small family SUV. With a good engine and gearbox, it is a very dependable and economical option. Rivalled by the previously mentioned SsangYong Tivoli, this car has great value for money. The Yeti’s tall, wide body means there’s plenty of room for driver and passengers alike. The Yeti is a car that offers a very smooth and comfortable drive is great for long journeys and also large boot space makes the Yeti a great option for a family car. 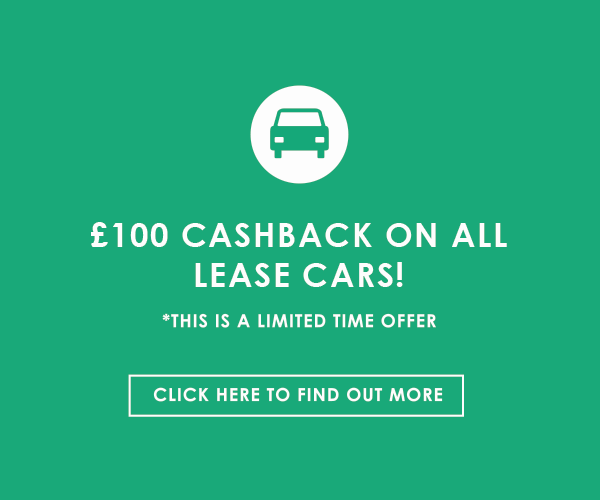 If you are keen on beating the winter weather with a cheap car lease deal, give Cheap Car Leasing a call on 0203 6977526 to discuss your requirements in detail.